Despite its historical nickname of Celery City, it’s only in recent history that Sanford has held appeal for a diverse array of food lovers. Give this old naval town a closer look and the findings are downright delicious, from soul food to schnitzel. 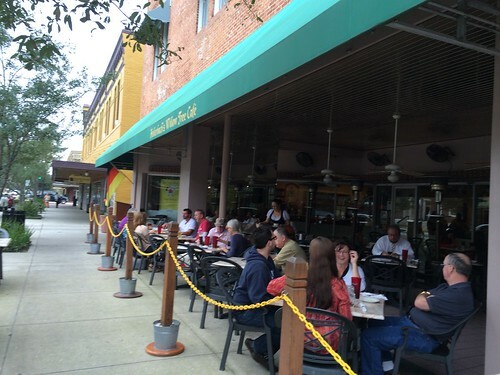 For starters, several great restaurants make their home on First Street, the main drag of Historic Downtown Sanford and the site of a weekly farmer’s market (Saturdays 9am – 2pm) and the monthly Alive After Five street party. That list includes Hollerbach’s Willow Tree Cafe, serving authentic German fare, The Corner Cafe Restaurant, perfect for soups and sandwiches, The Original Christo’s, which boasts burgers, ribs and take & bake pizzas, and Rabbitfoot Records Coffee Lounge, for the best in vinyl and caffeine. And beyond First Street you’ll find craft beer at Wop’s Hops Brewing Company, soul food at Shantell’s Cafe (outtake from our Spring 2014 photo shoot above), and ice cream and bike rentals at Spokes and Scoops. If you don’t want to do all the pedaling yourself, take a pub crawl with your pals on the Limo Cycle. Happy exploring! 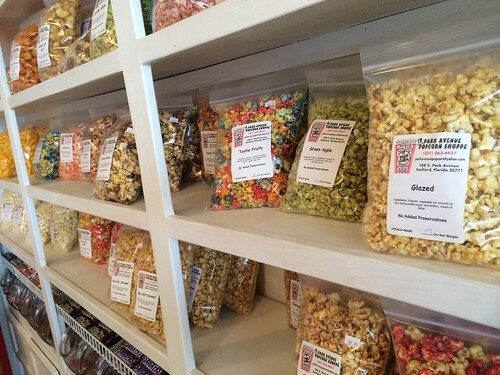 There are more than 30 varieties of gourmet popcorn at Park Avenue Popcorn Shoppe. You can join a Schunkel Abend sing-along Thursday – Sunday nights at Hollerbach’s Willow Tree Cafe. 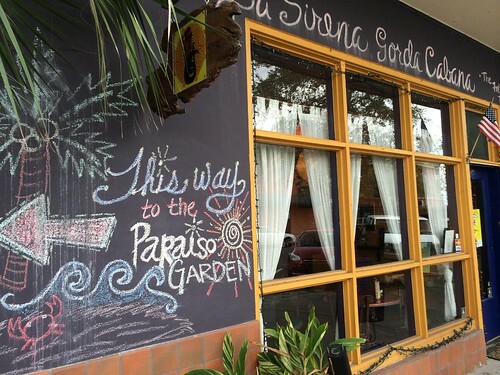 Mexican cuisine and a outdoor patio have made La Sirena Gorda Cabana (The Fat Mermaid) a popular spot. 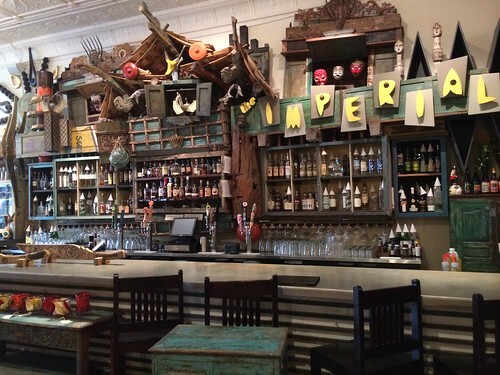 Craft whiskey and beer is on the menu at The Imperial tucked inside Washburn Imports. 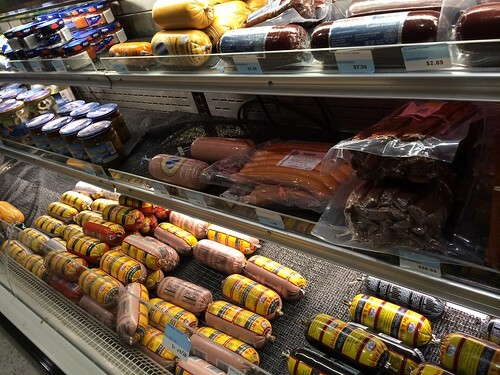 You can find lots of German wine, beer, meats and deli items at Hollerbach’s Magnolia Square Market. 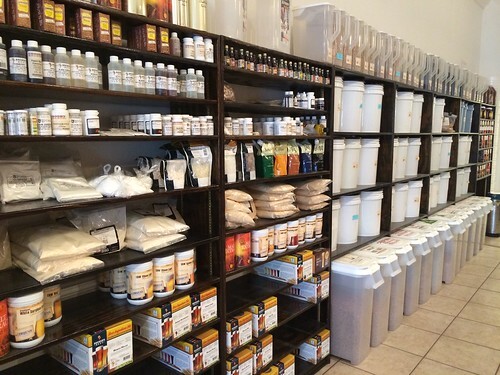 Sanford Homebrew Shop has all the gear and ingredients to start your own home brewing operation.